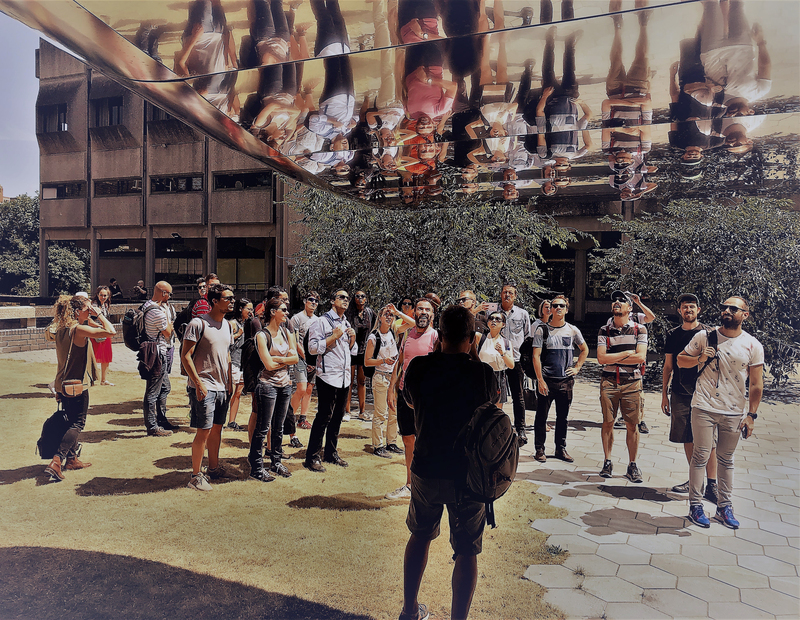 Every summer, Eckersley O’Callaghan takes its staff on a trip to see a selection of inspiring structures and architecture. 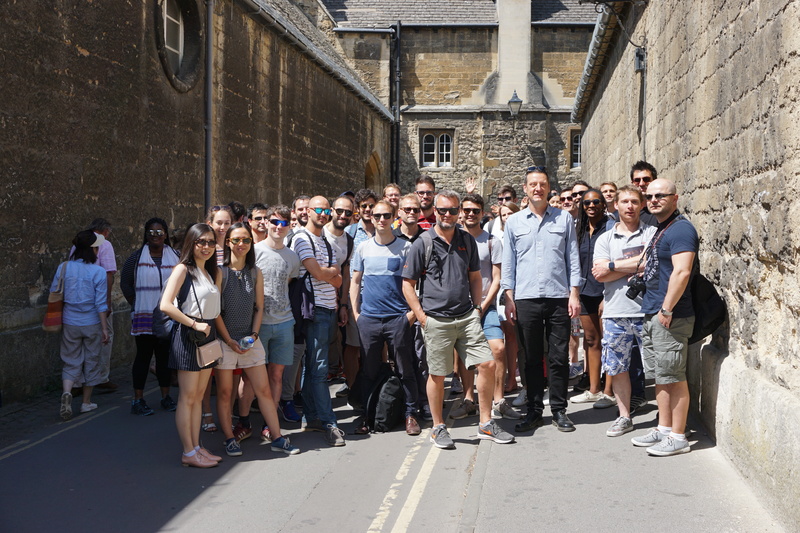 This year the London office visited Oxford, where we took in a walking tour of our own historical projects and other projects currently under construction. With work in Oxford going back over two decades, we have played a significant role in shaping the city and its famous university. Peering into the New Library & Archive at The Queen's College, which was constructed beneath the provost's garden. The group arrived in Oxford with the sun shining brightly. Our first stop was the Hubert Perrodo Building at St Peter’s College, which has recently won an RIBA South Award. Next, onto the New Library & Archive at the Queen’s College, another RIBA South Award winner and a remarkable feat of engineering. We then visited Mansfield College, where we have engineered the structures for two projects; the East Range and the recently-completed Hands Building & Bonavero Institute of Human Rights. We stayed at Mansfield to enjoy lunch in the college’s beautiful 19th Century chapel. The Investcorp Building, winner of a 2016 RIBA National Award. Following lunch, we visited a selection of our facade projects, including new buildings for the University of Oxford’s Chemistry and Physics departments; the Tinbergen Building and Beecroft Building respectively. The Investcorp Building, St Antony’s College, was next on the list, a spectacular doubly-curved structure clad in highly reflective stainless steel. The original neo-gothic buildings of Keble College, where we would spend the night. We finished our tour with a site visit to Keble College’s HB Allen Centre, currently under construction (having understandably lost a few of our French colleagues to the pub next door, which was showing the France v Uruguay World Cup Quarter Final). 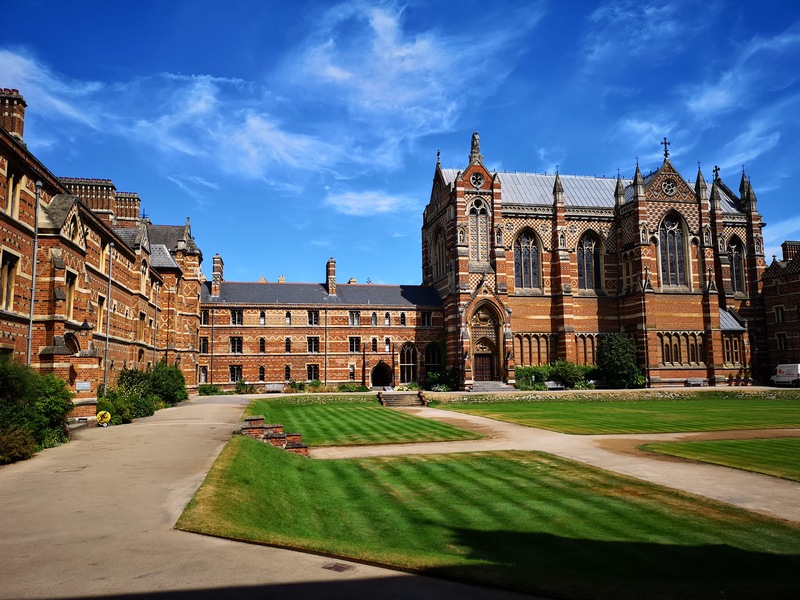 Brian Eckersley, one of EOC’s Founding Directors, has been involved with Keble for over twenty years, and our work for the college has included projects of varying scales, from the new-build Arco and Sloane Robinson Buildings to the college’s Bicycle Shelters. Due to complete later this year, the HB Allen Centre is the largest project so far. Pimm's and punting on the River Cherwell. 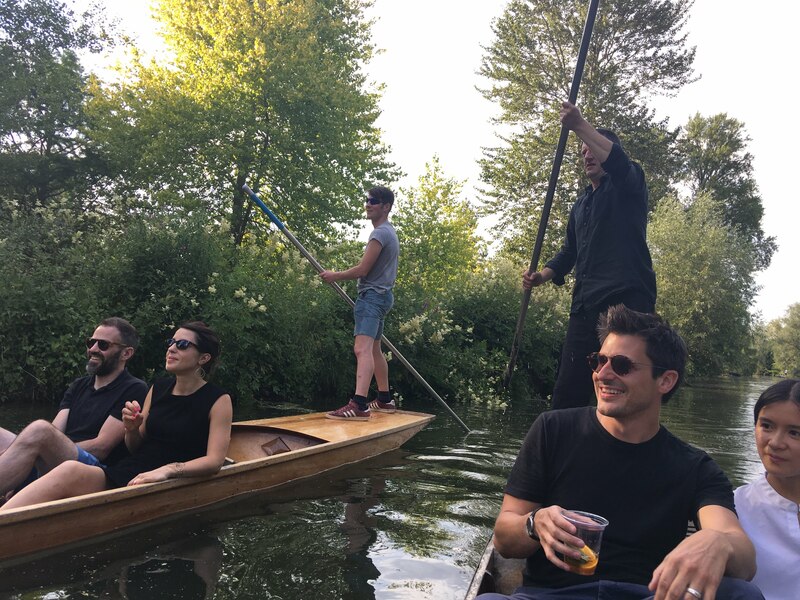 A trip to Oxford wouldn’t be complete without some punting and our group divided, six to a boat, for a leisurely race up the River Cherwell to Lady Margaret Hall, where there was a champagne reception and games on the lawn. The team punted back down to the Cherwell Boathouse for dinner, drinks and dancing, before returning to Keble to stay in the college’s historical accommodation.